I love going down to Vegas from time to time, but I have trouble finding your beer at any of the big casinos. What gives? 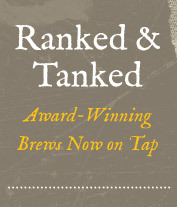 Our distributor offers every establishment a chance to have our brews on tap! 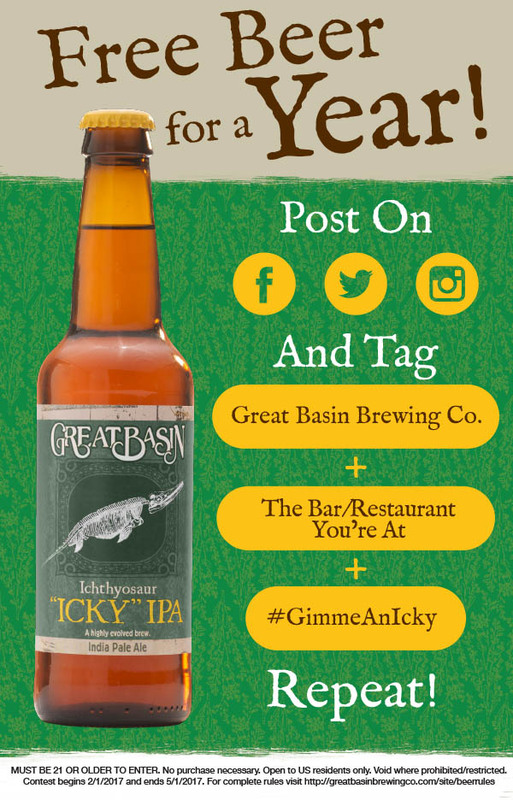 Next time you're down there let the bartender know you're looking for Great Basin beer and in no time you'll be enjoying our craft beer while playing slots (at the pool bar)! Keep drinkin' the good stuff! 412 Scytale is an immensely rich and complex barrel-aged stout that began its metamorphosis in early 2016 when our Brewmaster carefully filled charred oak bourbon barrels with the pitch black elixir. There it matured and transformed, waiting for just the right moment to emerge. That time is just about here. 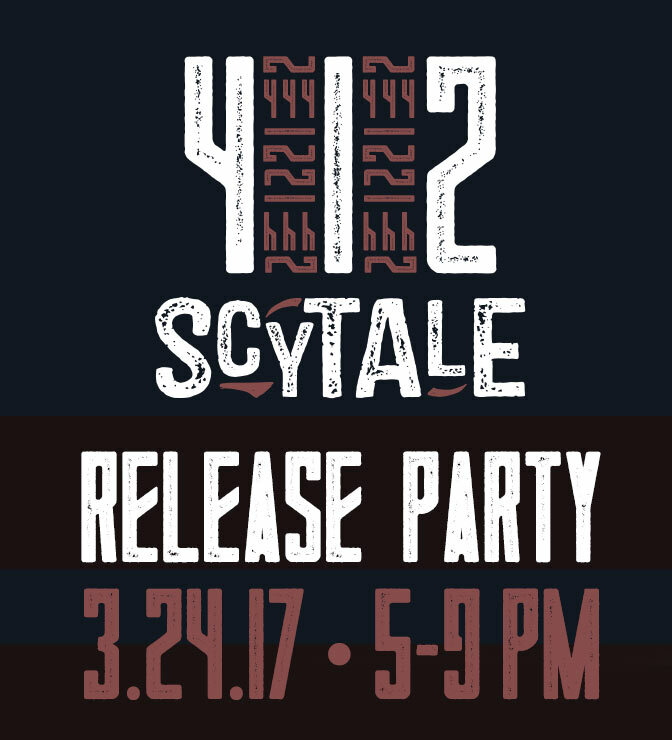 On Friday, March 24th, beginning at 5pm we will release 412 Scytale Barrel-Aged Imperial Stout with a big Great Basin party. There will be food, live music, brewery tours, games, and of course 412 Scytale on tap as well as bottles to purchase. The first 100 people in the door will also get a commemorative poster signed by our Brewmaster, Tom Young and the other talented brewers that worked to create this incredible brew. This singular release is one you’ll want to enjoy again and again. Luckily there’s no limit to how many you can take home from the party. 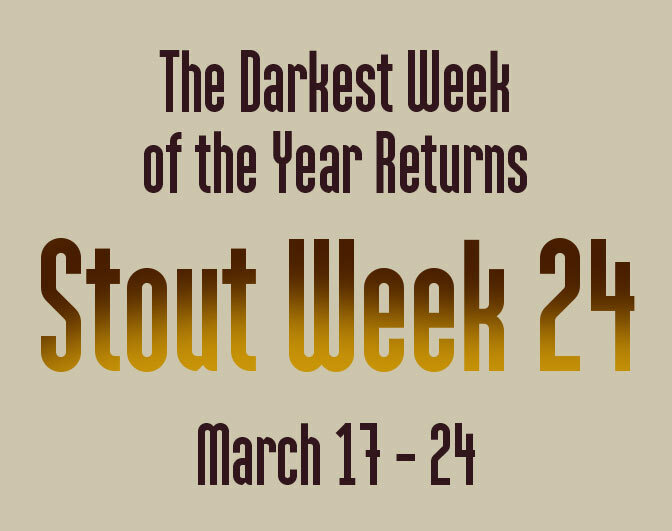 It’s time for our 24th annual celebration of Stouts during Stout Week from March 17 - 24th. We’ll be pouring flights of 6 unique stouts – Outlaw Stout, Nitro Outlaw Stout, Vanilla Outlaw Stout, Magpie Coffee Stout, Death-By Chocolate Stout, and our Russian Imperial Stout. Flights of 6 are just $7.50. Talk about luck - the first day of Stout Week this year falls on St. Patrick's Day! In addition to our Stout Week celebration, we’ll also be toasting Saint Patrick with pints of McClary’s Irish Red. For the rabble-rousers out there, we’ll be serving $6 Irish car bombs. Of course we’ll also be having a feast of corned beef & cabbage! 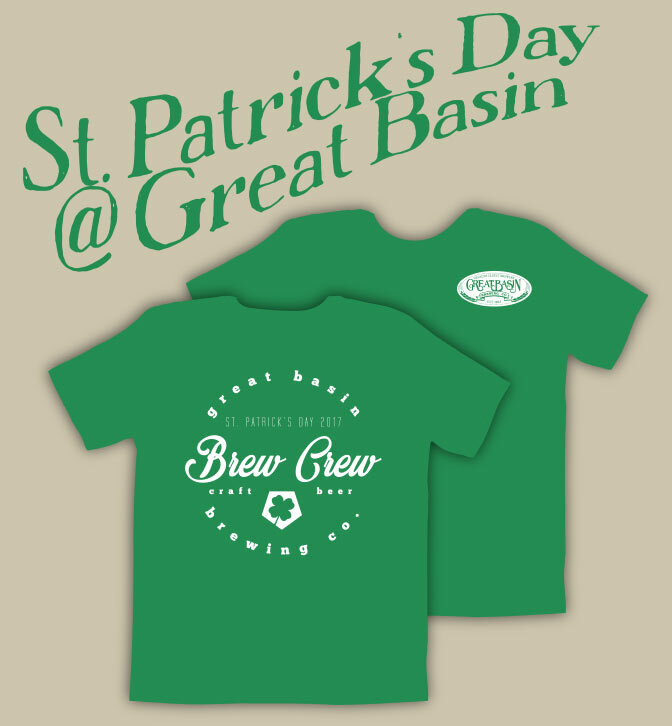 Be sure to grab one of our commemorative St. Patrick’s Day T-shirts also for just $12 each. 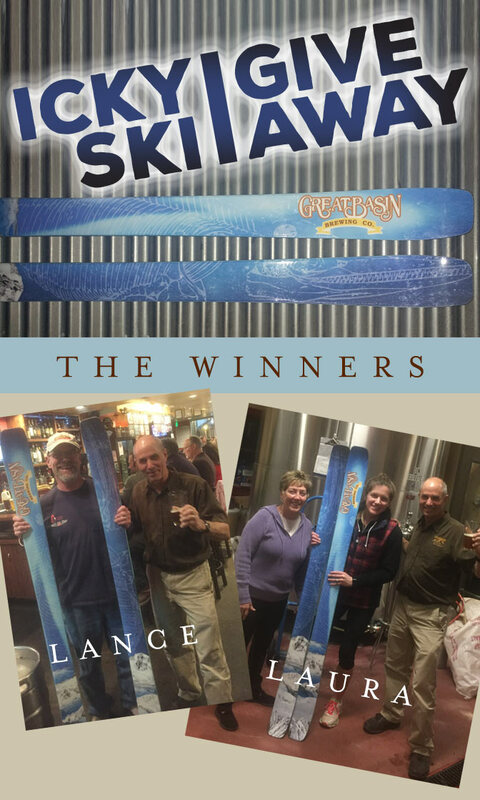 They showed their dedication by drinking pints at our Reno & Sparks brewpubs and for their efforts they walked away winners of a pair of Moment Deathwish Icky Edition Skis. Congratulations to Lance who won our Sparks drawing and Laura who won in Reno. Mother Nature has given us the perfect winter for you to enjoy your prize! Mark your calendar for these upcoming Great Basin events! We'll have more details in our next issue.